Callie is shocked when her friend Ivy reappears after an unexplained three-year absence, but the girls pick up where they left off, and suddenly Callie’s summer is full of parties, boys and fun. Beneath the surface, things aren't what they seem, however, and when a handsome boy with a dark past gets tangled up with Ivy, the girls’ history threatens to destroy their future. 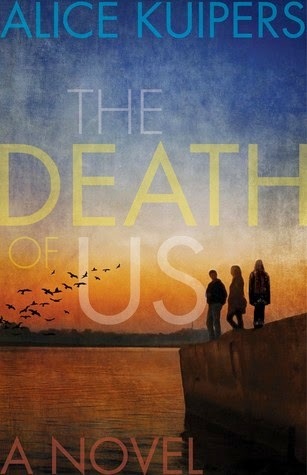 The Death of Us by Alice Kuipers was a book that was a surprise from HCC Frenzy. I really had no idea about what it really was about, but my ARC copy was bright yellow and I like yellow so I picked it up not really knowing what it’s about. The Death of Us revolves around three main characters who happen to be tangled into each other in ways that is not so easy to describe. The three main protagonists, Callie, Ivy, and Kurt each have diverse and unique personalities and characteristics. Despite the book being told from the three point of views, I personally felt like this book revolved more about Callie and Ivy. As I said before, each of them had distinct personalities, so I’ll speak a bit about that. I really didn’t know what to feel about Callie. I wasn’t really able to connect to her, and she kind of fell flat for me as a character. As for Ivy, I personally found her annoying most of the time. She was sort of the typical controlling “best friend” who is sometimes maybe mistaken as selfish. I just wasn't able to relate to her. The Death of Us was certainly a book that was full of unexpected events. I truly found it interesting how Kuipers was able to create such a dynamic relationship between the three characters, and the complexity of it was surely interesting to read about as well. Since it is a short book, I can’t quite give much about the big without spoiling a bit to the readers. The Death of Us was a book more of finding friendship and the relationships between character and such. Overall, it was a really fast and enjoyable read in which I think a lot of contemporary fans will surely enjoy reading. 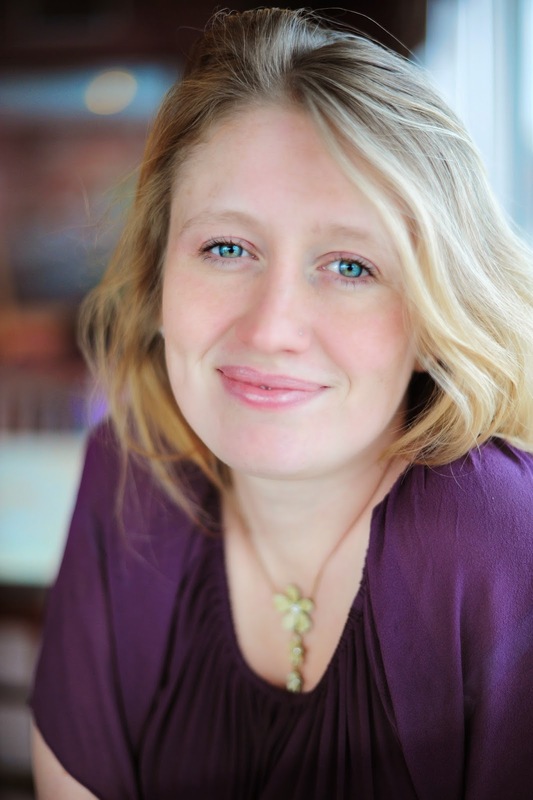 Bestselling, award winning author Alice Kuipers moved to Saskatoon from the UK in 2003. Her first novel, Life on the Refrigerator Door, was published in 28 countries. She has published three further award-winning YA novels internationally, most recently The Death of Us. Her first picture book Violet and Victor Write The Best Ever Bookworm Book will be published this December. What initially inspired you to write The Death of Us? I was inspired to write about Callie, Kurt and Ivy by the opening scene in the book - the idea of someone waiting at a party and then realizing the people he's waiting for aren't going to arrive. It came to me clearly and appeared on the page and then I had to figure out what it meant and how to get there. I also had the images of Callie eating a peach over her kitchen sink, and Ivy unpacking her clothes and those images made me want to write. I think a lot of the writing I do comes from compelling images in my mind. Those images wake me up at night. They nag and snaggle at my brain until the story just has to be written. The Death of Us is told from three different POV's, is there a reason for doing that? I wanted to story to be nuanced and layered because I didn’t want it to be easy to blame one person. That felt too simplistic and the only way to doubt the other characters was to have sections of the story told from different perspectives. We all have a dark side (at least, I do!) and I wanted there to be times in the narrative when readers wondered which character was heading into their dark side. Each character is the hero of their own story and that means they don’t all see the events of The Death of Us the same way. I think YA readers are sophisticated, smart readers and I knew the complexity of the storytelling would be worth it for this particular narrative. You once mentioned that the Death of Us was difficult for you to write, may I ask why? Having the points of view of three characters, and the shift in time at the start (from the end back to the beginning), and the rapid timeline, and all of the various secrets and lies felt like a lot to handle on the page. I had to do tons of drafts to make sure the book really did what I wanted it to, but then there were times when I wasn’t sure anymore what I wanted the book to do. In those moments, I had to just go with it and write. I doubted myself and the narrative, but, in the end, it came together. I hope!